History abounds in Van Buren, Arkansas! 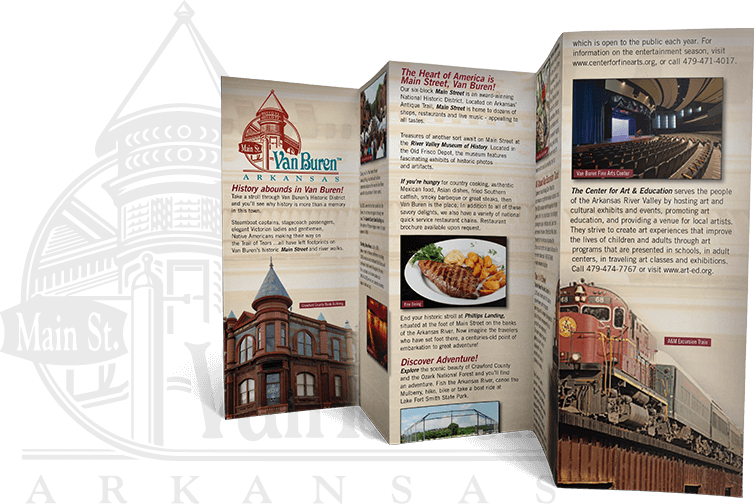 Take a stroll through Van Buren’s Historic District and you’ll see why history is more than a memory in this town. We will be happy to send our Visitor’s Guide to you by U.S. Mail or click on the Download Icon below to instantly download our newest guide.